If you thought that the G4 will be the only highlight release from LG in 2015, you were wrong. At a press conference during MWC 2015, LG's CEO of mobile business, Cho Jun-ho told attendees that his company is prepping a device for the second half of 2015 – a device that will be positioned even higher than its G-series lineup. Well, according to a fresh report from The Korea Herald, LG is indeed on its way to enter the phablet market with a new G Note line. The company recently applied for a trademark over the name in its home country of South Korea, further fueling speculation and giving legitimacy to previous rumors claiming the same. Keep in mind that we're only speculating here – Mr. Cho Jun-ho's 'even fancier' new device may not end up being the G Note, after all. But if we're on target, then you can expect a better display, camera, and user experience. Interestingly enough, just yesterday we caught a whiff of a mysterious LG device passing through the FCC. Codenamed LS770, the device had a screen size of about 5.8 inches and the filing also referred to a stylus. While we have no way of confirming our suspicions at this point, the LS770 does sound like an LG device worthy of a G Note title. 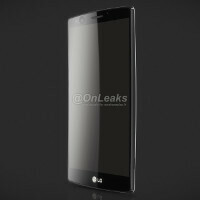 In any case, the reality is that the phablet market isn't something new for LG. Its G Pro series lived on for a while, but the company pulled the plug after the G Pro 2. If the above rumors prove true, it seems reasonable to suggest that LG has used the time since to get back to the drawing board and regroup before risking a face-off with the category's titans in the Samsung Galaxy Note 4, and more recently, the Apple iPhone 6 Plus. Only time will tell if LG's bet will pay off. Like Samsung Copying iPhone 6 ??? That just copied the bottom portion of the phone. This is stealing ideas and blatantly using them. Note -> G Note S-pen -> G-pen And wait for the pop-up multi window and the Gtouchwiz. My G2 doesn't have multi-window. Q-slide isn't multi-window. Erm, I have an LG Volt, which uses the G2's software skin, aaaaand Q-Slide is indeed multiwindow. Not EFFICIENT multiwindow, but multiwindow nonetheless. Are you really implying Samsung invented the pen? Nope, but neither did Apple invent rounded rectangle or pinch to zoom. Samsung was the first to implement wacom based stylus into a phone. Where did Apple get into the picture? And you know LG will use a wacom stylus how? It might be similar to the one n the shield which is great for cost savings. Ive seen Sony Ericsson phone with keypad and Stylus before. So the idea was not from Samsung afterall. Yeah, after they copy "multi window". Even the UI has some similar points to TouchWiz. Like Apple copying the Samsung Ativ se? Some people should watch more phones than Apple ones before speaking of copying like kids in primary school : Xiami MI 4 released in august '14. Lenovo Vibe Z2 Pro released in sept '14. Samsung Galaxy Alpha released in sept '14 That's just a small bunch of phones with that "bottom-like" i6 which also got released in about same time. But S6 is a copy? Right. Apple fans propaganda against their most dangerous competitor i would say. Like Apple stole SONY's original design? FOR YOUR INFORMATION LG AND SAMSUNG ARE ONE! LG PRAISING SAMSUNG FOR ITS S6. LG STORES HERE IN SOUTH KOREA SELLING SAMSUNG PHONES! LG AND SAMSUNG HELPING FOR THE KOREAN ECONOMY ! Samsung & LG are the heart of Korea. They both help each other to improve their technology which no other can reach. The real copycats are Chinese OEMs and Apple. And if anyone can't accept this, every phone makers copied Motorola. End of story!!! So true. However, Chinese OEMs are really trying their best to differentiate and innovate. Maybe they have nothing else to copy anymore. You mad bro? Why all caps? It would be nicer if you put it this way: FYI, LG and Samsung are literally one. LG praises Samsung for it's S6 and LG Stores here in South Korea selling Samsung phones. LG and Samsung are both helping our economy. No need for those ugly caps. LG copies Samsung, Samsung copies Apple.